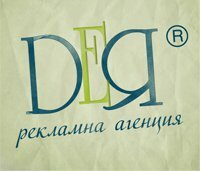 We from advertising agency DEA Ltd. Have more than 20 years of experience in the fields of advertising and marketing. Our main priority is our clients and their satisfaction, due to quality and timely execution of orders, as well as individual approach to each project. We hold the whole process – from the idea to the realization. We design and produce printing products, as the main product groups include: advertising materials (flyers, brochures, catalogs, posters, stickers, labels and many more), company presents, such like: (business cards, letterheads, envelops and etc. ), calendars, notebooks and more. Except the closed circle of work, which includes the whole process of production for printed materials, we are also one of the biggest manufacturers of wall and desk calendars and diaries. Our new fashion printing machines are the main reason for manufacturing all kind of materials and achievements – best quality and price! Advertising Agency DEA Ltd. Is also a Direct Importer for souvenirs and promotional items (common and luxury ones) form the European Union, China, India, Turkey and other countires.